"Wassily": A Chair with Shaped the History of "Bauhaus"
The Wassily chair was already admired by teachers, students and visitors of the Dessau Bauhaus, where it stood in a few apartments of the “master town”. In 1926, when the production started, it was honored as a “masterpiece” in the exposition of the Dresden arts hall. The first steel rod lounger B 3 from Marcel Breuer – later known as “Club Lounger” or “Wassily” – soon reached publicity and was part of the increasing interests of "Bauhaus". Finally it should cause a worldwide boom for steel rod furniture that stood for avant-gardism and the break of industrial aesthetics into privacy. 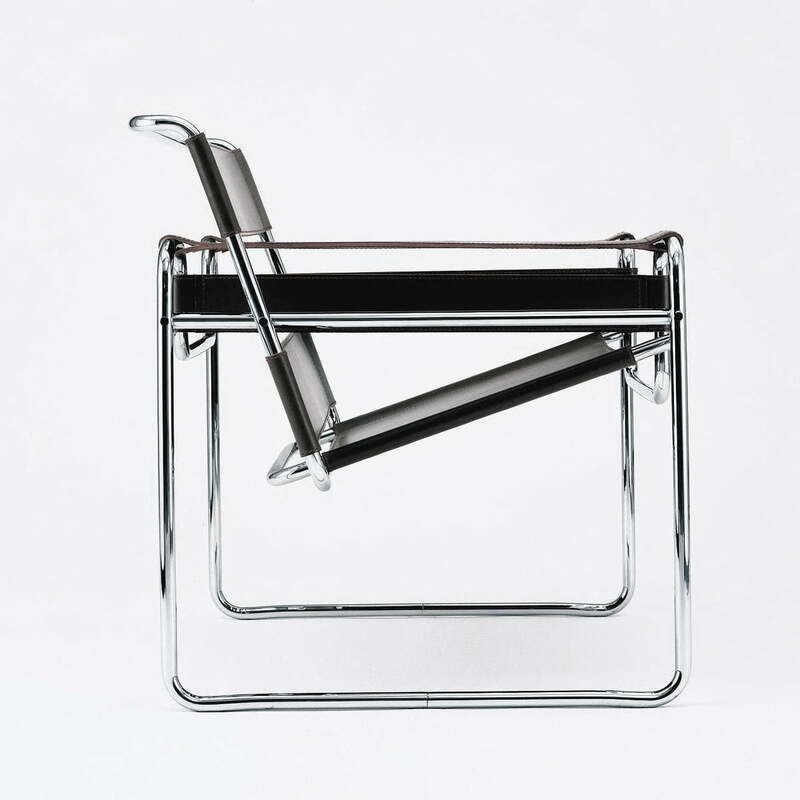 With the also new black-silver contrasts which also remind of valuable jewelry and modern machines, the Wassily chair created “magic of precision”, as a French critic wrote. Breuer saw his furniture as “apparatus of today’s life." They should be weightless, open, affordable, demountable and hygienic. B 3, which has also been available as folding furniture and which has been built by Breuer in his leisure time together with a locksmith, fulfilled these criteria. 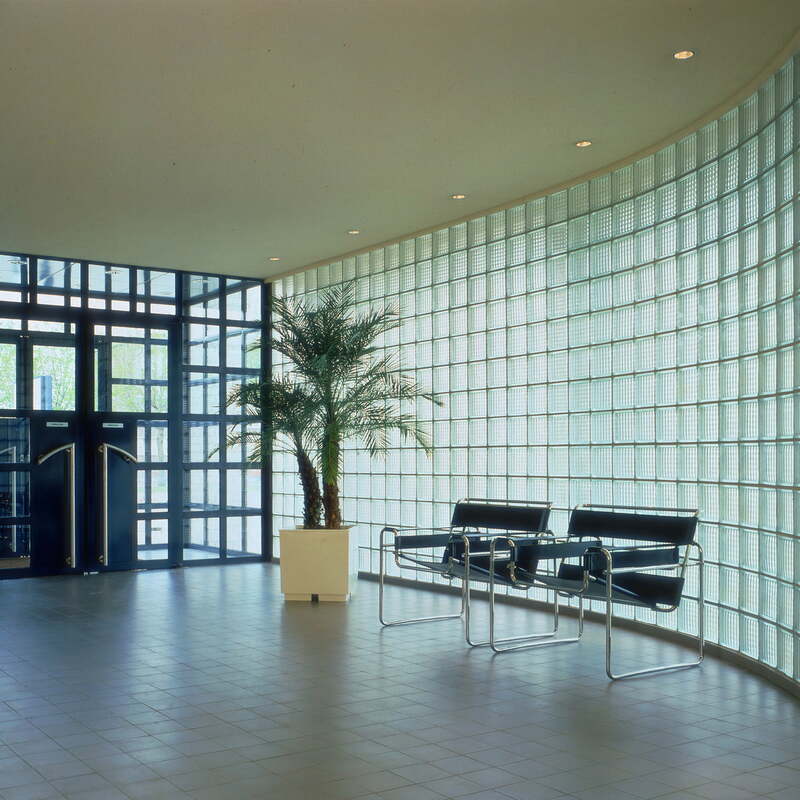 Therby, his design followed the footprints of famous Bauhaus designers, such as Gerrit Rietveld. Breuer didn’t create an everyday object with the Wassily Chair as he desired, but a new furniture type and an “abstract-real-sculpture” (Siegfried Geidion), in whose open geometry the minimalism of new form-finders is displayed. It became a real design icon, a central symbol of modern times and one of the first pieces of furniture that became a classic in the 60s. 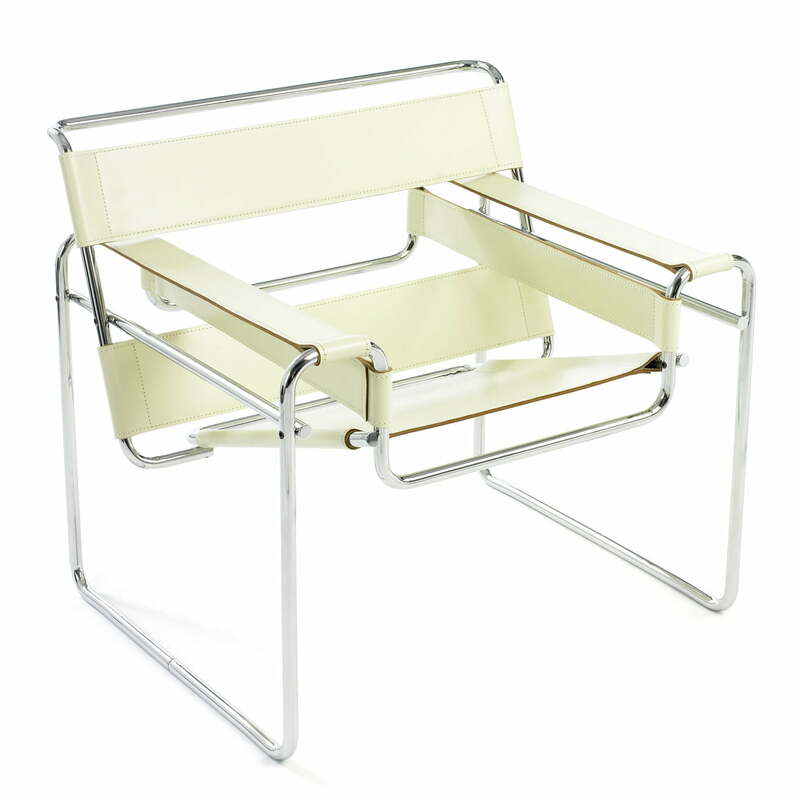 By the way: Numerous myths are told around the name giving of the Wassily chair. Some say that it got its name because Wassily Kandinsky was the roommate of Marcel Breuer in the Bauhaus. Others say it only has the name because the chair was a design for Wassily Kandisky’s apartment at the Bauhaus in Dessau. -	Characteristics: A classic KnollStudio Design; produced after the original design of Breuer. The KnollStudio logo and the signature of Marcel Breuer are imprinted in the lower frame of the chair. -	Construction: Seamless formed round tube steel, high gloss chromed. Leather straps out of Cowhide leather, Spinneybeck Belting leather and Haired Hide. For usage on hard grounds, the skids are equipped with plastic slides. 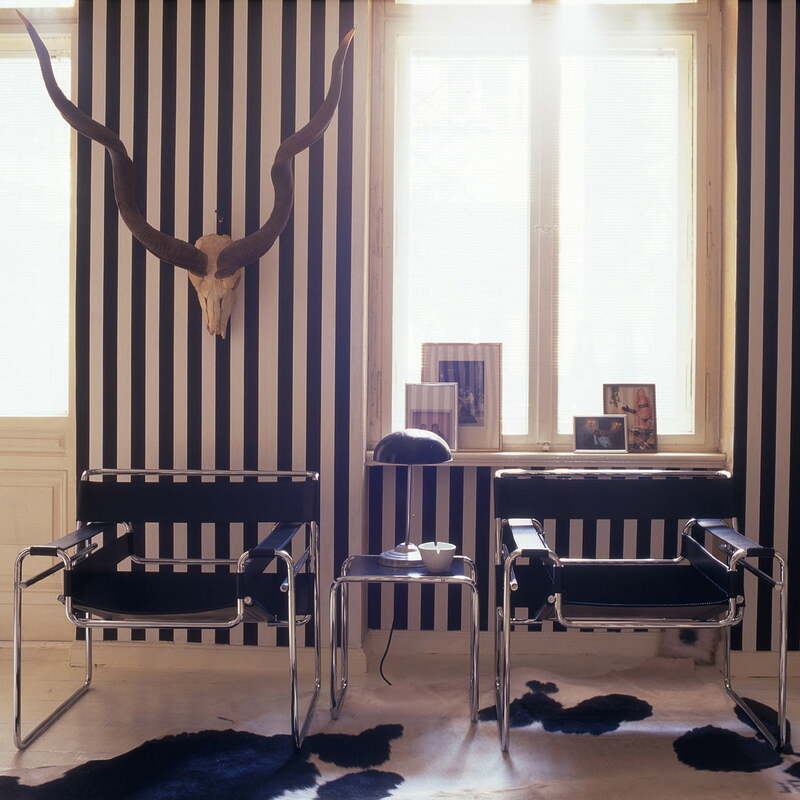 -	Surface: The upholstery in Cowhide leather is available in black, light brown and natural white. The upholstery in Spinneybeck Belting leather is available in a wide colours selection.